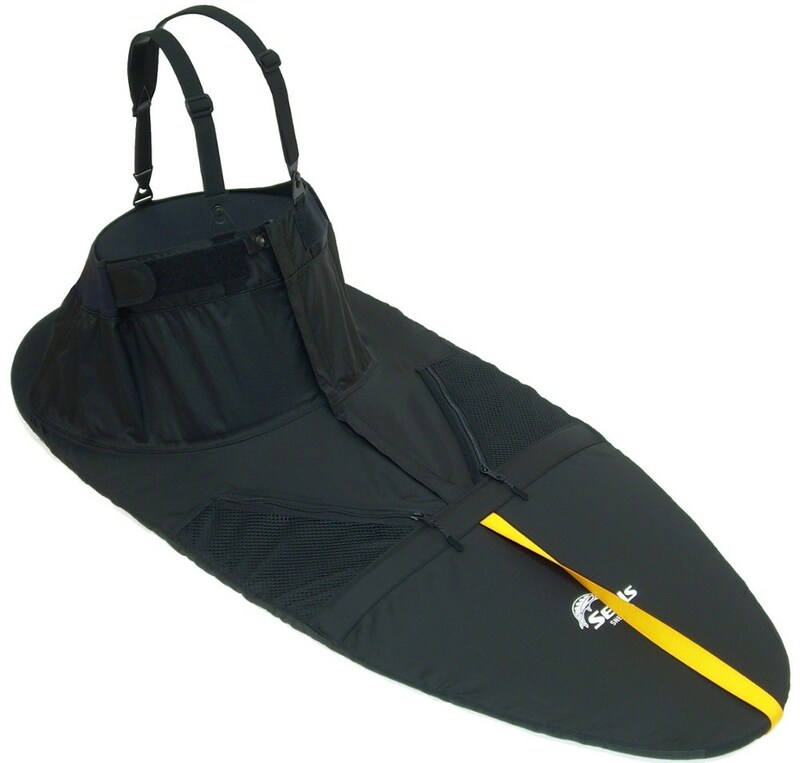 Seals Coastal Tour Kayaking Spray Skirt - The Coastal Tour Kayak Spray Skirt by Seals is ideal for moderate conditions and features a tensioned deck stay to keep water from pooling. 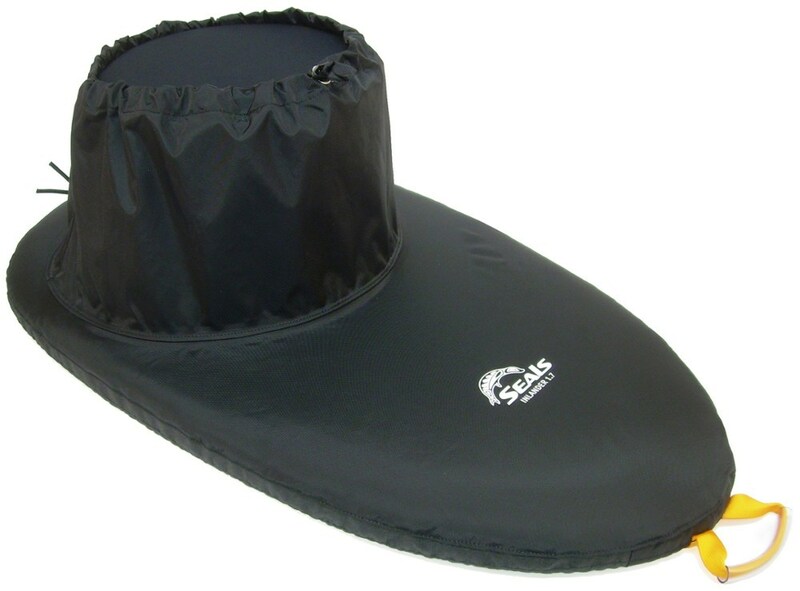 It is constructed with durable midweight nylon packcloth and is polyurethane coated for water resistance. The strong bungee powered rim grip system secures the skirt firmly to your cockpit's coaming. This skirt features a front webbing grab loop with a comfortable handle to ensure easy entries and wet exits. It has an adjustable tension deck stay which creates a convex bend in the fabric so that water runs off rather than collecting, and pooling, on top of the skirt. 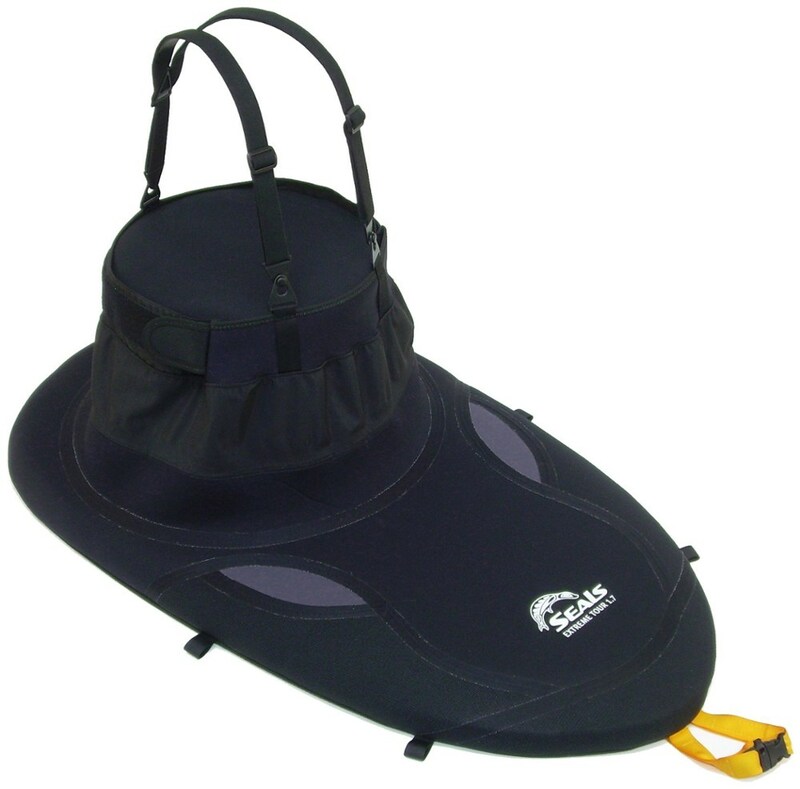 Handy, removable elastic shoulder straps secure the skirt and keep the tunnel tensioned when in use. The neoprene waist has adjustable rip-and-stick sides for a custom fit. A mesh deck pocket stores small essentials and 4 lash loops offer easy attachment of accessories. The Coastal Tour is complete with ballistic nylon edge reinforcement panels to protect the skirt from abrasion. Stay dry on your next paddling exclusion with the Seals Coastal Tour Kayak Spray Skirt! Explore the coast or any waterway with the Seals Coastal Tour sprayskirt. Suited for more serious day touring, the Coastal Tour is constructed of durable, water-resistant nylon packcloth with double-stitched and sealed seams and rim grip/safety slip technology to keep you dry.This product will be shipped directly from Seals and will leave their warehouse in 2-3 business days. Eligible for UPS ground shipping only.Click here to find your Seals size. . Made of medium-weight, PU-coated nylon packcloth with double-stitched and sealed seams. Tensioned deck stay allows water to drain off the skirt instead of pooling. Rim grip/safety slip technology keeps the skirt securely in place. Adjustable neoprene chest band and removable suspenders ensure paddler comfort and a secure fit. Zippered mesh deck pocket keeps small essentials close at hand. Ballistic nylon edge guards with lash loops add durability and versatility. 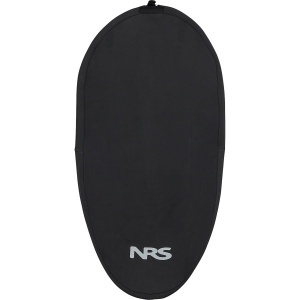 Best for moderate paddling conditions (waves regularly breaking across deck with increased chance of capsizing). All Seals sprayskirts and accessories are cut and sewn in the USA. Custom sizes and colors may be available. Please call customer service at 1-888-463-6367 to learn more about a special order. Additional charges may apply.. The Seals Coastal Tour 1.7 spray skirt is ideal for moderate conditions and features a tensioned deck stay to keep water from pooling.